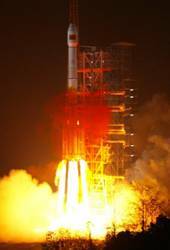 Another the BeiDou-2 satellite, the second IGSO Compass-I2, will be launched before the end of the year, according to a NASASpaceFlight report. 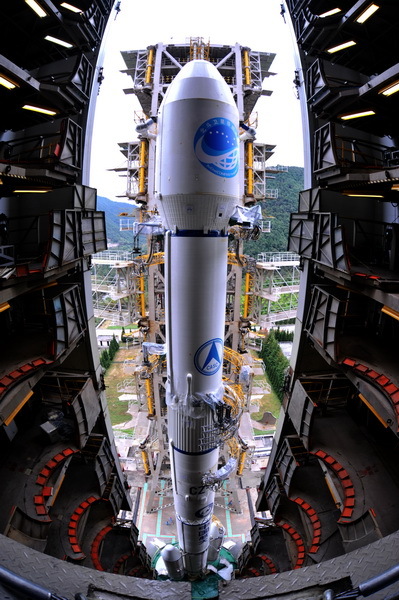 For the first time the Long March 3C launch vehicle had the Compass logo imprinted on the satellite faring: a blue circle containing the Big Dipper constellation, Earth map gridlines, and Compass satellite navigation system in English and Chinese (Beidou). 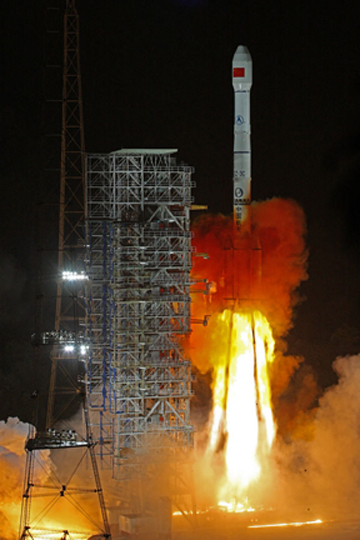 In an interview posted on the Beidou website, launch commandder Cen Zheng indicated that the Compass G4 spacecraft weighs more than three tons, requiring the 3.8-ton lifting capacity of the Long March 3C launcher. This is the first rocket to carry the new Compass logo, Cen said. An interview with Compass satellite chief designer Xie Jun, also posted on the website, revealed that the design team is working toward a satellite "batch production" capability.